Are you flying out of the Phoenix Sky Harbor airport on Delta airlines? If so, you’re in for a treat because you will be using the new Terminal 3 South Concourse. The recently-opened gates in Delta’s terminal are well-designed, with spacious and comfortable waiting areas and variety of food options. I provide links as a convenience to you. Some of these may be affiliate links that pay me a small commission if you use them to reserve a room or purchase goods or services. You don’t pay anything extra for using these links, but it helps keep this website running. And all affiliate links are for products or services I personally use and recommend. To learn more, review this website’s policies and disclosures. Those of you who follow me on social media may recall a December rant about the horrid conditions when I flew out of the Phoenix airport in December. I just happened to be there for what must have been the lowest point in several years of construction projects. At that point everything was a confusing, inefficient, over-crowded mess. All that is over for passengers flying Delta and several smaller airlines. Flying Delta through Sky Harbor is now about as good as an airport experience can get. When I flew out of the new South Concourse at Sky Harbor’s Terminal 3 (now named for the late Senator John McCain), I discovered an airport that understood what passengers really need. Too often “upgrades” at gates controlled by Delta (like those at MSP, my home airport) seem designed to drive revenue rather than serving passengers. The trend of replacing gate area seating with miniature booths and tables for ordering food may generate a lot of cash for the airline and the airport, but it is a nightmare for passengers. Filling almost the entire concourse with restaurants, mini-booths, and counters offering basically the same food options doesn’t lead to a great dining experience. On the other hand, it makes it impossible to move through the gate area (even without luggage), while ensuring there is be no space to sit or queue for your flight when you finally reach your gate. It’s a recipe for uncomfortable, overcrowded spaces at every gate that makes waiting for a flight sheer misery. And don’t get me started on the miniscule restrooms provided in the gate area of most “modernized” Delta gates! Why waste precious gate area real estate creating bathrooms with more than four stalls (none of which are big enough for a woman to use while carrying a large purse, let alone while dragging a large carry-on bag) when you could put a table with an online menu there? Needless to say, I dread flying out of an “updated” Delta terminal. But Phoenix Sky Harbor is proof that a good gate experience is possible! Phoenix Sky Harbor International Airport is owned by the city of Phoenix, not an independent airport authority. That means the airport needs to serve the goals of the city as a whole, not just generate as much money as possible through the Sky Harbor terminals. Sure, they want the airport to generate lots of cash, but they also want to draw events, conventions, and repeat visitors who will spend money on lodging, food, and activities throughout the Phoenix area. And they seem to understand that a positive experience in Phoenix often begins and ends at the airport. At least, that’s how it seems to me. But, whatever the reason, Sky Harbor Terminal 3 was clearly designed with the needs of travelers – not just airlines – in mind. From the perspective of a regular traveler, the new Terminal 3 concourse (and even the security area and lobbies that precede) generally gets it right. For starters, wide, unobstructed corridors make it easy to move around the terminal. Even with arrivals streaming out of the space and departing passengers crowding the gates, there is a lot of room to move around. Add to that ample, comfortable (padded) seating throughout the concourse and gates are (mostly) well-separated from each other. There are even giant ottomans suitable for a quick nap. Electronics can be charged from many gate area seats (come on, PHX, go all the way and get every seat wired!) and at long table-height counters (with normal padded chairs) between gates. No trying to locate the one or two charging stations in the gate area seating, perching on the airport equivalent of a bar stool, or maneuvering around a stationary electronic menu just to work on your computer! The digital age has arrived at Sky Harbor. Then there are the restrooms. Bathrooms are plentiful in Terminal 3. They are also conveniently located across from the gates, spacious, and filled with reasonably-sized stalls and lots of sinks. And yes, ladies, there is room for you AND your roller bag in each stall, not just in the handicapped stall! There’s even a dry spot above each sink for your purse. A variety of attractive sit-down restaurants and grab-and-go grocery and take-out options provide something for everyone across from the gates, but without blocking gate access. So, if you’d like something better than an in-flight snack box, at Sky Harbor Terminal 3 you can keep an eye on your gate while enjoying a drink and/or meal in comfort. Best of all, giant windows provide natural light, a view of the mountains, and an opportunity to watch aircraft operations in action. Unlike my home airport, gates in Phoenix are not permanently assigned to any one airline. (The concourse was remodeled by the airport, not by Delta or any of the other airlines.) That’s part of the reason Delta’s gates at Sky Harbor are so different from ones (remodeled by Delta) in Minneapolis. Besides shifting the focus from the airline to the passenger, it also shifts the focus to overall airport operations. For example, since no particular airline controls any particular gate, gate assignments can easily change to facilitate jet-way use and minimize crowding during busy periods. That should benefit both passengers and the airport. I’ve been referring to this as the Delta terminal. And, with a big new Delta Sky Club located above the concourse, it’s easy to think of Terminal 3 that way. However, the 15 gates currently in use serve passengers traveling with Delta Airlines, Frontier, Hawaiian, JetBlue, and Sun Country. Once the North Concourse is renovated in 2020, airlines currently flying out of Terminal 2 (Advanced Air, Alaska, Boutique Air, Contour, Spirit, and United) will also move into Terminal 3. Delta passengers can breathe a sign of relief now that construction of Terminal 3’s South Concourse is complete. However, the this is just part of the Terminal 3 Modernization project, which is itself part of a larger plan to expand and update Phoenix Sky Harbor airport. Work on Terminal 3’s North Concourse should begin this year. During construction, all airlines in Terminal 3 will use the South Concourse. (The area profiled here.) While there may be some disruption, it appears that this change should go largely unnoticed by most passengers. Once construction of the North Concourse is complete, all airlines currently in Terminal 2 (Advanced Air, Alaska, Boutique Air, Contour, Spirit, and United) will move to Terminal 3. Likewise, a project to add an additional concourse to serve Southwest Airlines should have little impact on Southwest passengers or others using Terminal 4. Beyond these projects and an extension of the Sky Rail to serve the Sky Harbor Rental Car Center appears to be next in line, although there doesn’t seem to be a construction date set. No decisions seem to have been made on long-term expansion at the airport (PDF), although a planning process has been considering options for future expansion. 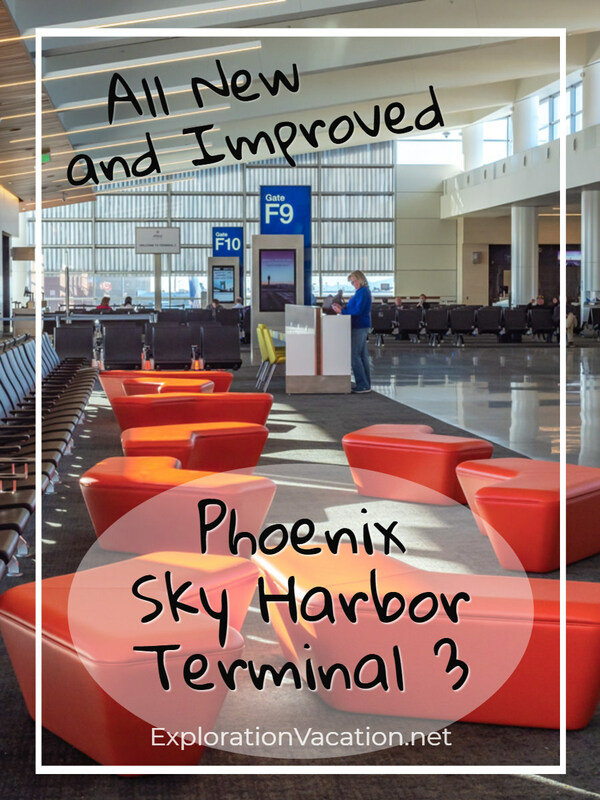 Sky arbor’s Terminal 3 Modernization Project was designed primarily to help passengers move through the terminal more easily and efficiently long into the future. The $600 million dollar project also includes projects in lobbies and the security area to make air travel more comfortable and efficient for travelers. This include the updated and expanded security area, additional lobby areas, and comfortable seating throughout the airport with plenty of places to plug in electronic devices of all types. Sustainability also figures into the renovation through the use of natural light and other energy-saving improvements. The Terminal 3 project is being done in three phases. With the opening of Terminal 3, the first two phases are complete. The third and final phase, the North Concourse, is set to begin this spring. Completed in December 2016, this part of the modernization project consolidated security for Terminals 2 and 3 in a single spacious area designed specifically for that purpose, added ticket counters, and increased baggage handling capacity. It also improved heating and cooling systems and updated the look of check-in, security, and baggage areas. Landscaping improvements include the addition of a dog park. Apparently, the project also included a dedicated gallery for some of the airport art collection. (I didn’t spot it and probably wouldn’t have stopped anyway, as it is located outside the gate area – I don’t stop to do anything that isn’t essential until I know exactly where my gate is.) It appears that art is a big deal at Sky Harbor, so it’s probably worth a look sometime when you are really early for your flight. As with the concourse gates, none of the ticket counters, self-check stations, or baggage carousels are controlled by any one airline. This allows the airport to shift users as needed to make space for additional airlines and best manage overall airport capacity and passenger flow. Along with the features described above, the 15-gate South Concourse includes the Airport Museum (not to be confused with the airport art gallery) and the children’s PHX Play-Viation Park. Additional airport food and shopping options are also available in the Terminal 3 lobby located after security and before the airline gates. Technically, this is part of the Terminal Processor (which sounds like something from a futuristic horror movie) described above, but the first shops and restaurants opened as part of the new South Concourse. The lobby currently houses the following, with more to come when the North Concourse opens. Note that, while I was thrilled with how Terminal 3 functioned when I left Phoenix in mid-January, the South Concourse has 7 of its 15 gates rather crowded together at one end. None were in use when I flew through, but this is too many in too small a space. It will get very overcrowded if more than a couple are in use at the same time. The final phase of the Terminal 3 Modernization Project makes similar functional and aesthetic improvements to the North Concourse. Construction begins this spring, but should have little impact on travelers who will simply be shifted to gates at the South Concourse. Construction should be completed in 2020. It appears that once this phase is completed, all airlines with gates in Terminal 2 (Advanced Air, Alaska, Boutique Air, Contour, Spirit, and United) will move to Terminal 3. After that, Terminal 2 will be demolished. Construction will also begin this spring to add eight additional gates at Terminal 4 for Southwest Airlines. In addition to new gates, the project will expand a security area and add additional ticket counters, baggage facilities, and concessions. Because this project largely involves new construction, there should be only minimal impacts on Southwest passengers or passengers using the rest of the Terminal. Sky Harbor, the Phoenix international airport, is located just a few miles east and slightly south of downtown Phoenix. This puts it pretty much in the center of the metro area. However, it can seem like a long way from anywhere due to the size of the Phoenix metropolitan area, heavy traffic volumes on the highway system, and convoluted traffic patterns within the airport. This is especially true for those renting a car “at the airport,” as the shuttle seems to cover half the city before arriving at the rental car center. Those using public transit will likely also find the Sky Train/Valley Metro Light Rail connection seems longer than it really is. Just be patient, allow plenty of time, and you’ll get to where you are going. With the end of the Terminal 3 construction project, the whole airport seems easier to navigate. Of course, it helped that the taxi dropped us off beyond the main entrance at a spot that lead directly to Delta’s check-in gate. (Last time the taxi couldn’t figure out where to drop us off.) That, combined with empty security lines and lots of TSA agents (thank you, TSA, for showing up for work even without a paycheck), made this one of the easiest, quickest, and most pleasant airport experiences I’ve had anywhere. Having said that, traffic around the Phoenix airport is intense and routes are convoluted. Even if it’s now easy to get around inside the airport, you still have to get there. Give yourself plenty of time to both get to the airport and find the right terminal. Terminal 2 is used by Advanced Air, Alaska, Boutique Air, Contour, Spirit, and United. These airlines will move to Terminal 3 in a couple of years and Terminal 2 will be demolished. Terminal 3, the John McCain Terminal, is being completely reconstructed. As described above, the South Concourse just opened. Work on the North Concourse begins in 2019. Terminal 3 is currently used by Delta, Frontier, Hawaiian, JetBlue, and Sun Country. Terminal 4, the Barry Goldwater Terminal, is the largest and busiest terminal, serving both domestic and international flights. The terminal is being expanded in 2019, but that work should have minimal impact on passengers. Air Canada, American, British Airways, Condor, Southwest, Volaris, and WestJet fly out of Terminal 4. There is no Terminal 1. It was demolished in 1991 and never replaced. While it would be nice to have a good Phoenix airport map that clearly shows each terminal and how they connect, the best I could find are the maps on the Sky Harbor website. None are particularly good at showing how the pieces fit together, but they are up-to-date. And they do a great job of showing every restaurant, shop, service, and restroom in each terminal. Be sure to check the maps for your terminal if you know you want to eat or do some shopping once you get to the airport. Phoenix is almost as notorious as Los Angeles when it comes to traffic. While it’s difficult (or maybe impossible) to get around the larger region without a car, there are a variety of options for getting to and from the airport. Like many airports, Phoenix Sky Harbor makes money from parking and has lots of it available. There is so much parking (or maybe the airport is just so difficult to get around) that there is an online parking finder that can help you locate the best available parking spot based on convenience, price, and the terminal you are using. Prices range from $7 to around $30 to self-park. Valet service is also available for just under $35. I have never parked a car at Sky Harbor, but it appears there are some tricks to it – especially if you are flying out of Terminal 4. Check before heading to the airport. An “airport rental” requires a relatively long shuttle bus ride to the Sky Harbor Rental Car Center. All “airport” rental car companies are housed here. There are NO rental car desks or cars at the airport itself! Renting a car through the airport car rental center will usually cost more than renting from an off-airport location. It used to cost a lot more (like double) to rent at the airport, but the difference seems to have come down in the last year or so. 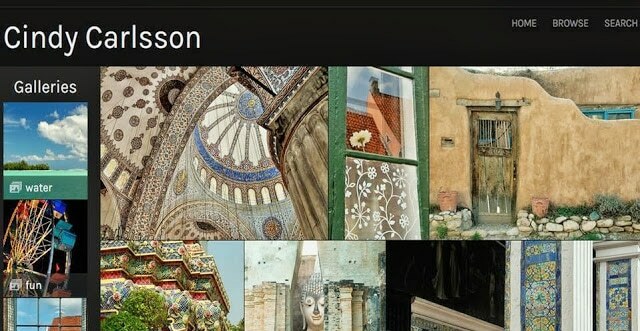 Still, it’s worth seeing what might be available near the airport, near a Metro Rail station, or near your destination as an alternative to an airport rental. You might be surprised by how much money a $15 cab or Uber ride can save you on your rental car cost. Whether you are getting a car at the Sky Harbor rental center or renting it elsewhere, I recommend checking RentalCars.com to find the best deal. You’ll discover prices vary greatly between companies and between locations operated by each company. Even if you plan to book through the airport rental center, make your reservation well in advance. Sky Harbor is also served by a variety of shuttle services, including SuperShuttle. What Sky Harbor doesn’t have is a line of taxis waiting to whisk you to your destination. You can get a taxi at the airport, but it is unlikely that one will be waiting when you arrive at the taxi stand. And your wait could be anywhere from a couple of minutes to a lot longer, like 15 or 20 minutes. Also, because this is Phoenix where it never rains except when I am waiting for a cab, there is no covered shelter. There is a $15 minimum charge for airport pick-ups. Certain parts of downtown Phoenix are in a $17 flat rate zone. There are also the usual ride share options available. For some trips Valley Metro Rail is an ideal option. The free PHX Sky Train connects to the Valley Metro Rail system at the 44th Street and Washington station. The Sky Train runs 24 hours a day. Valley Metro Rail does not. Check the Valley Metro Rail route and schedule on their website when planning your trip. If you are staying in downtown Phoenix, Tempe, or Mesa, Valley Metro may be the only transportation you need. But it’s also worth checking on the train if you plan to rent a car. You can save money renting your car at an off-airport location and you may be able to pick it up spending a couple of dollars on the train instead of taking a cab. Note that several regional airlines fly out of the Phoenix-Mesa Gateway Airport. This is a much smaller airport located about 40 miles southeast of the Phoenix Sky Harbor airport. Mesa Gateway seems particularly popular with Midwestern snowbirds headed for the eastern side of Phoenix. They like it for its smaller size, airlines that serve smaller regional airports close to home (mostly in the mid-west and west), and proximity to communities east of Phoenix. Gateway is used by Allegiant Airlines, California Pacific, Flair Air, Swoop, and WestJet. And no, I’ve never heard of some of those airlines either. But my mom loves her Allegiant connection between Mesa and central Minnesota. It’s an option worth considering if you are traveling to the east side of the Phoenix area from an area served by one of these small airlines. I’ve never had to pay more than $7 for my local contact to park to pick me up at Terminal 3 with his vehicle parked in the ramp – and it’s usually $4 if he waits for less than an hour or less. You could do a LOT worse (DFW & MSP, I’m looking at you). It’s been years since I’ve had anyone meet me at the airport, but you are correct – cheap short-term parking for pick-up and drop-off make a huge difference in airport user-friendliness!